The author would like to thank the late Hubert Trudel of Ottawa and Rose-Marie Trudel of Winnipeg for sharing their family memories. Lorena Aglae “Dollee” was an independent and assertive woman at a time when Franco-Catholic women were largely restricted to family related activities in the home, in the service of Church and State. “Dollee” Chevrier, Los Angeles, California, 1907. She spent her youth in Manitoba, more specifically in Winnipeg where she attended school at St. Mary’s Academy and pursued various cultural and professional interests. Her social status and family wealth provided her with a certain independence to pursue her love of business and travel. Around 1910, she left her “old-fashioned” restrictive Franco-Catholic community for what she considered the more modern and progressive America (United States) where she became active in the Women’s Suffrage Movement. According to family tradition, she participated in the 1913 Freedom March led by Alice Paul on the eve of President Woodrow Wilson’s inauguration. She was among the suffragists who chained themselves to the White House in protest for the delays in granting women the right to vote. She took the name “Dollee” which reflected her new identity and freedom, “American style”. She remained single (or a “spinster” as unmarried women were irreverently called at the time) and travelled independently to Europe and China, at a time when few women undertook such expeditions. Mlle Chevrier grew up in a very conservative Franco-Manitoban milieu where feminist ideology and women’s rights were considered contrary to their gender and their procreative and domestic roles in society. The Roman Catholic Church opposed the right to vote for women during the 1916-18 federal and provincial campaigns and women in Quebec did not gain the right to vote until 1940. In French Canadian society, the opposition took on a nationalistic dimension. It was argued that the feminist movement was essentially Anglo-Protestant and a threat to the mission of Franco-Catholic women which was to ensure the survival of la nation or French Canada. The Church also invoked the tenet of la langue gardienne de la foi (language as protector of the faith). The Franco-Catholic nationalist discourse also accentuated a resistance to change or the assimilating influences of a ‘foreign’ modern world. The Chevrier family had come to Winnipeg from Ottawa in search of new business opportunities in the burgeoning province of Manitoba in 1871. Dollee’s parents, the French Canadian Noe Chevrier (1846-1911) and Scottish-Canadian Isabella Johnson (c1850-1881), gave her a bicultural heritage. Her mother was a Methodist and Aglae and her three siblings were born in Ottawa where Mme Chevrier travelled to give birth because Church authorities in St. Boniface disapproved of her Protestant faith. The Chevrier children were baptized at St. Mary’s church in Winnipeg after their mother’s death. The father soon remarried a former acquaintance and Grey Nun who reportedly received a special dispensation from her vows to bring the Chevrier family back to the Catholic fold. It was a happy reconstituted family and another brother and sister were born. The Chevriers lived in an elegant residence at 106 Balmoral Place and owned and operated Le Magasin Bleu (aka The Blue Store) at 452 Main Street between 1872 and 1927. The business operated as a general store in Winnipeg and traded goods as far north as the Great Slave Lake region. Noe Chevrier, an enterprising businessman and personal friend of Prime Minister Sir Wilfrid Laurier, was appointed to the Senate in 1909. 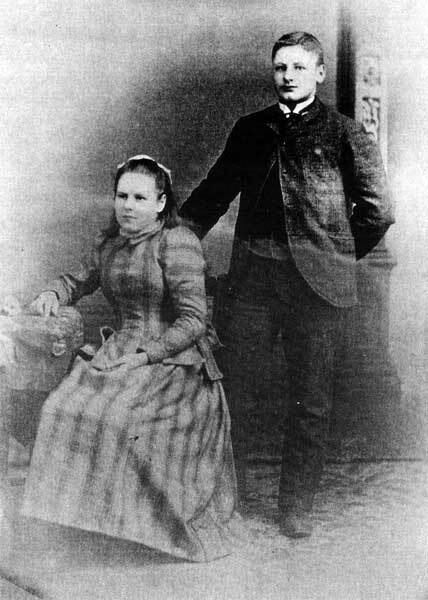 Lorena Aglae (Dollee) Chevrier and brother Horace, Winnipeg, 1891. The Chevriers were staunch “Rouges” or Liberals in a predominantly Conservative FrancoManitoban society. Dollee’s brother, Horace, was nonetheless elected member for St. Boniface in the Manitoba legislature in 1903. In 1896, Prime Minister Laurier had reached an agreement with Liberal premier Greenway on the Manitoba Schools Question, which re-instated bilingual and religious instruction but within a public system, much to the dismay of the Bishop and the Conservative political elite of St. Boniface. According to the Chevrier family, the Bishop declared from the pulpit that le ciel est bleu et Venter est rouge (heaven is blue and hell is red) and it was the obligation of Francophone Catholics to vote for the Conservatives or face excommunication! The rhetoric was not translated into action but illustrated the tenuous position of the family in FrancoManitoban society. The Chevrier family, along with a few other prominent francophone and Metis merchant-class families, did not conform to the majority Conservative francophone elite, established “in the shadow of the cathedral” in St. Boniface. The Chevriers were “on the fringe” as bilingual Liberals residing “across the river” in Winnipeg. As some of the other early French Canadian migrants to the province, they associated themselves with the Metis and defended their cause. Horace Chevrier’s first wife, Maggie Gingras, was a daughter of a prominent Metis merchant Francois Gingras, and his second wife, Annie Kittson, was the grand-daughter of Commodore Norman Wolfred Kittson who had brought the steamboats to Red River. In his 1955 memoirs, Eudore Chevrier reported that his brother Horace championed Metis rights and was the first member to speak Cree (along with French and English) in the Manitoba legislature in 1904. “Dollee” would have been greatly influenced by this dynamic, progressive and militant family atmosphere. She was also certainly aware of the political and social reforms advocated by Nellie McClung and her followers. Noe Chevrier was the pater families in the late 19th century tradition, but evidence also suggests that he supported and promoted his daughter’s business acumen and literary talents. Photographs of “Dollee” and a letter to her family in Winnipeg from Nanking, China in 1917, suggest a sensitive and inquisitive mind and an independent and fun-loving character with a positive outlook and a streak of rebelliousness, in her own words; “Ye gods—splendid ... such fun ... inspiration”! She was particularly struck by the rich cultural tradition and the natural beauty of China, its business opportunities, as well as its poverty and social tensions. She commented that the foreign missionaries who lived in privileged circumstances should concentrate on providing better food and health care to the Chinese rather than saving their souls. 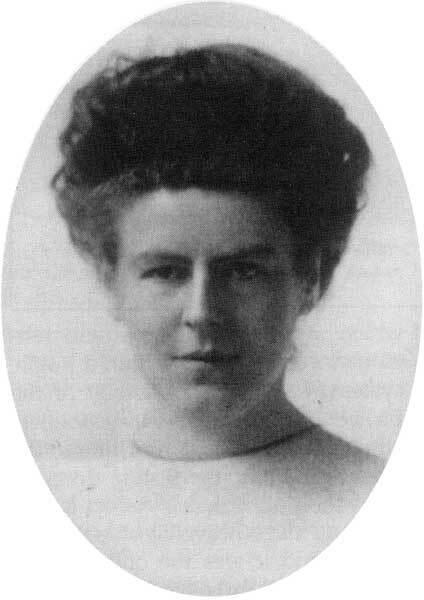 She is somewhat critical of the Americans entry into the War (World War I) and the prejudice facing Germans in China, suggesting that her social beliefs included pacifism. 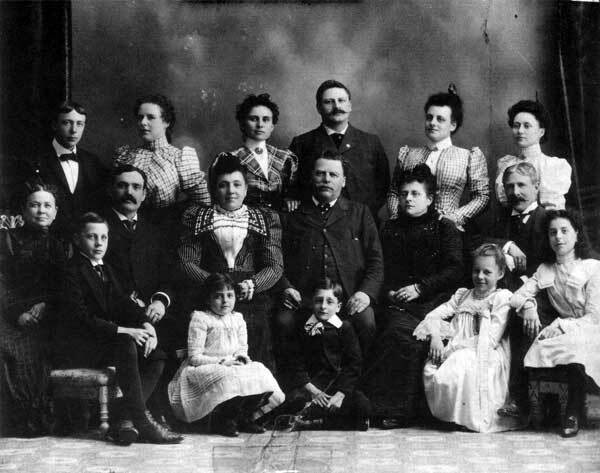 Chevrier family, Winnipeg, Manitoba, 1900. Back row, left to right: Rene, Lorena Aglae (Dollee), Marguerite GingrasChevrier, Horace, Annie, Bella. Second row, left to right: Agnes Champagne-Chevrier, Judge Napoleon Champagne, Agnes McMillan-Chevrier, Noe, Aldie Chevrier-Champagne, Rodolphe. Front row, seated: Eudore, Anita Champagne, Maurice Champagne, Agnes Camille Chevrier, Beatrice Champagne. Chevrier, Eudore «Mes souvenirs», Les Cloches de Saint-Boniface, no. 54, 1955, p.75-100. Cote, Luc “Modernite et identite: la chronique feminine dans le journal La Liberte, 1915-1930”, Cahiers Franco-Canadiens de l’Ouest, 10(1)1998, p. 51-90. Lavigne, Marie et Yolande Pinard dir., Les Femmes dans la societe quebecoise, Montreal. Boreal Express, 1977. Payment, Diane P. “ ‘On n’est pas Metchifs nous-autres’: un apercu des relations entre les femmes francophones au Manitoba durant les annees 1810-1920”, Bulletin de La Societe historique de Saint-Boniface, 1992 (3), p. 13-18. Payment, Diane P. “Un apercu des relations entre les missionnaires catholiques et les Metisses pendant le premier siecle de contact (1813-1918) dans l’ouest Canadien,” Etudes Oblates/Oblate Studies, 3(1994), p. 139-158.